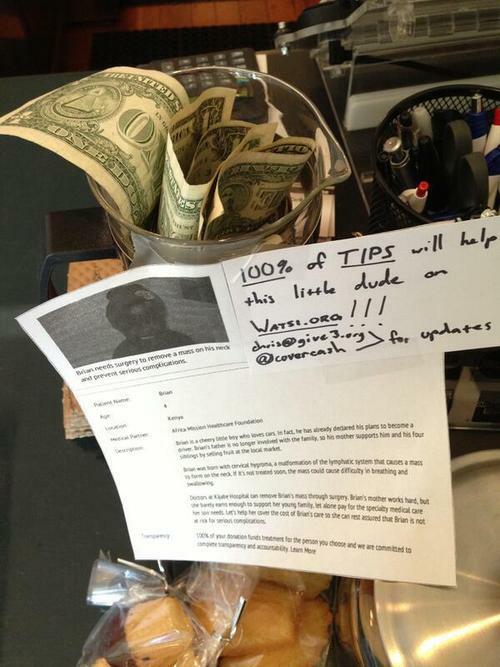 "I decided to donate all of my tips to this little dude on Watsi." Chris works as a barista. He sent us this photo showing how he decided to use his tips one day. Thanks in part to Chris’ support, Brian is on his way to being fully funded!